Microsoft revealed its cheaper alternative to the $799 Surface Pro back in July, in the form of the $399 Surface Go. The 2-in-1 laptop/tablet hybrid device has a weaker spec sheet than its more expensive cousin, but it's also more portable and versatile - or so Microsoft would like you to think. The device's portability has been compromised somewhat by the lack of built-in LTE functionality on launch. While wifi hotspots can be found all over the US nowadays, there are still times when you may need to get some work done while you're, say, taking an Uber to the other side of the city. In that scenario, the Go becomes much less useful. Fortunately, that's changing today; sort of. Existing Surface Go customers are out of luck, but if you're a would-be buyer, you can now opt for the Surface Go with LTE Advanced for $679. To be clear, the new LTE-equipped Go isn't merely the $399 model with LTE slapped on. Instead, it houses the same specs as the beefier $549 Go, which includes 8GB of RAM, 128GB of storage, and an Intel 4415Y processor. This puts the true "LTE fee" at around $130. Microsoft has not announced any plans to bring LTE to lower-specced Go models. There are two other LTE Surface Gos available, but they're exclusive to business customers. 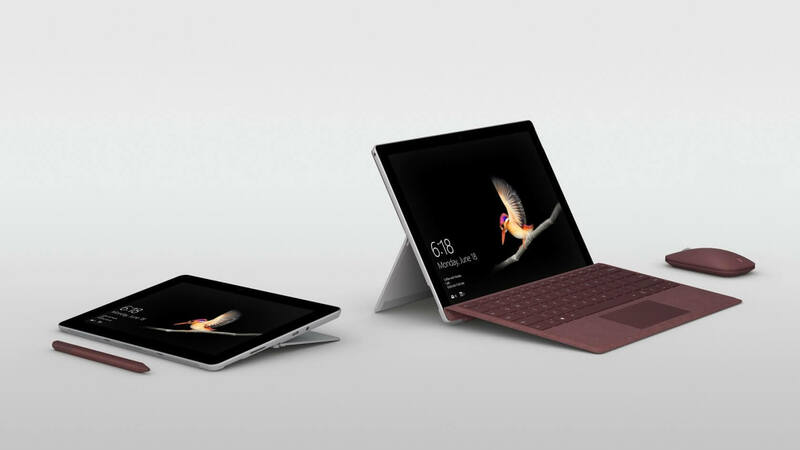 They include the $729 Surface Go with LTE Advanced for Business, which contains the same hardware as the consumer version, and an $829 device with an identical name. The latter's storage capacity has been upgraded from 128GB to 256GB, but the specs appear otherwise unchanged. If you want to snag one of Microsoft's new LTE-packed Surface Gos, you'll need to use AT&T, Sprint, or Verizon - T-Mobile customers are out of luck for now. The devices are reportedly available for pre-order now, with an expected release date of November 20.